A tattoo flower design is hand-pierced from sterling silver and hung on handcrafted longer hooks, with an onyx bead as a final touch. For a different look, these divine earrings can also be coated with a beautiful rose gold plating. 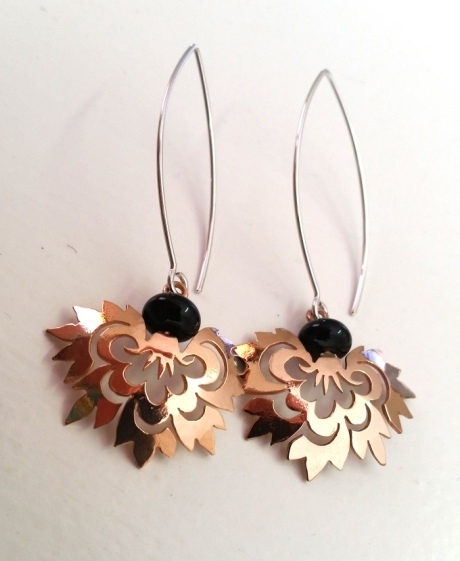 Notify me when Polished sterling silver Tattoo Flower Earrings is available.